Travel to the United States of Professor Izumi Kagami | Digitalestate Inc. Professor Izumiko studying folklore studies at a girls’ university in Nagoya goes on a research trip with female students,but he is involved almost always in a strange incident on that journey. The scene of the incident is in America this time: Boston, New York, New Orleans, Los Angeles, Santa Barbara, in addition, Barcelona, Republic of Fiji and the stage spread. The record for the study has become a case book as well. Author Takahama Mako is a mysterious person, apparently I know that Professor Kagami Izumi seems to be involved. 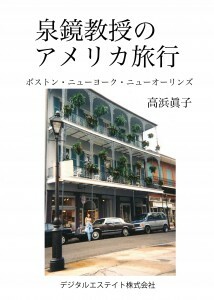 Please enjoy “Travel to the United States of Professor Izumi Kagami” in preview.